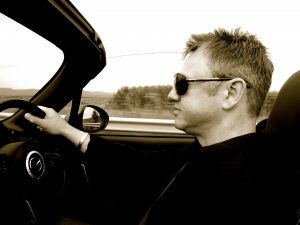 Adrian Sturrock is a writer, occasional musician, teacher, and ethnic minority (except when in Wales), specialising mostly in observation and unconsidered opinion. He currently lives in Buckinghamshire, UK, with wife Natalie: his travel companion, best friend and the person responsible for keeping him out of trouble on social media. They have three children between them. Oh, and he once had a horse fall on him. Adrian has written articles for a variety of online publications, as well as having his poetry/lyrics displayed alongside those of Benjamin Zephaniah, in Luton Town Hall (though it is very unlikely that Benjamin is aware of this). He has also contributed to the 2019 edition of Travel Stories & Highlights, edited by Robert Fear (currently available on Amazon. His other claims to fame include being smiled at by Madonna, and having once spent an afternoon watching Ace Ventura, Pet Detective in Barry Gibb’s living room, where Bee Gee’s manager, David English remarked on his shoes. "A unique voice, crackling with detail"
"I had an idea for a road trip; a sports car I shouldn't have bought; and a wife to point out that what looks entirely feasible on a scaled map can actually be quite a long way away." 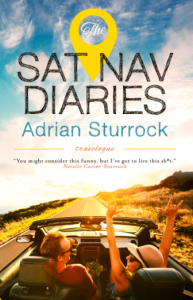 The Sat Nav Diaries is currently available on www.Amazon.co.uk in both paperback and eBook formats.